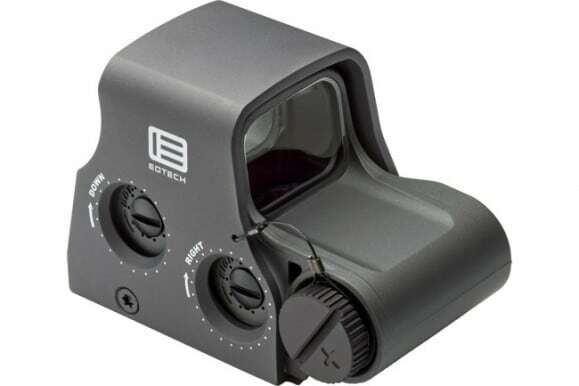 EOTech XPS20GREY: The XPS2 is the shortest, smallest and lightest EOTech model holographic weapon sight available without night vision. It also has a longer battery life than the N-cell style sights. 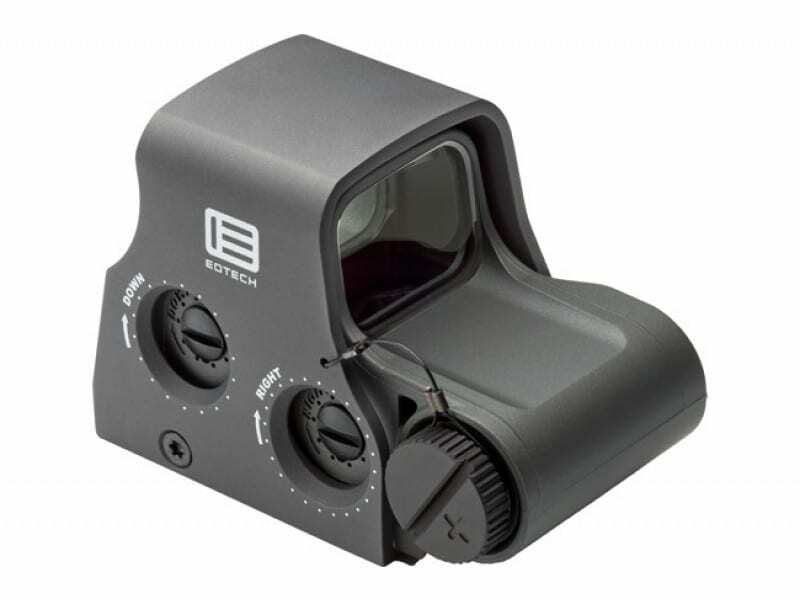 The single battery configuration allows more rail space than ever, leaving more room for rear iron sights or magnification. It has 20 brightness settings and a scrolling feature, and it is submersible to 3 meters. XPS has a locking quick detach lever and a 68 MOA circle with two 1 MOA dots, a 7mm raised base, and easily adjustable side buttons.